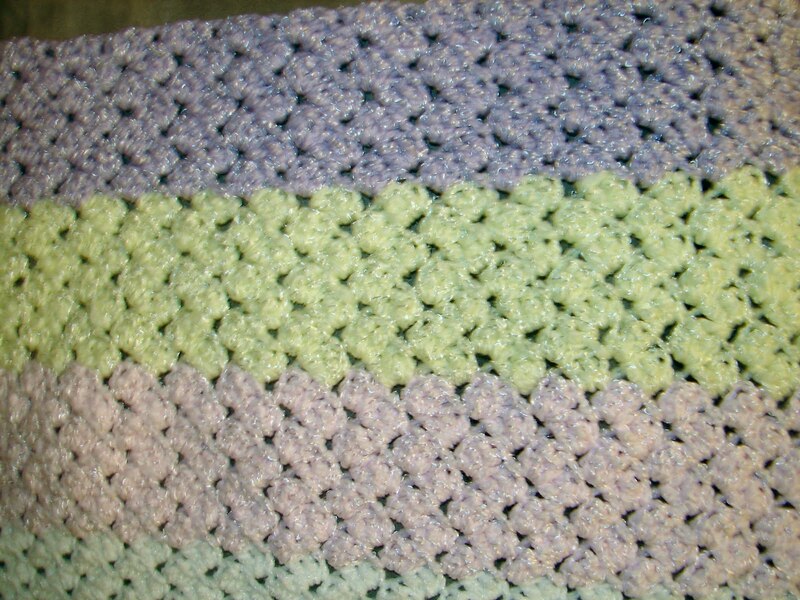 Baby Blanket | Oh Sarah O ! 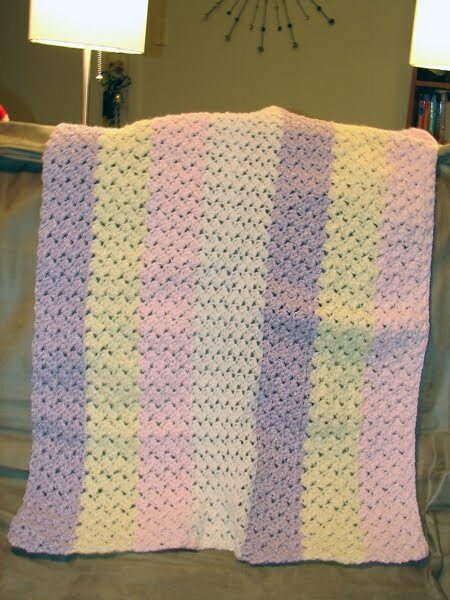 Before Winter Break, I was approached by a co-worker who asked if I would make a baby blanket for her daughter whose expecting a baby girl in March. 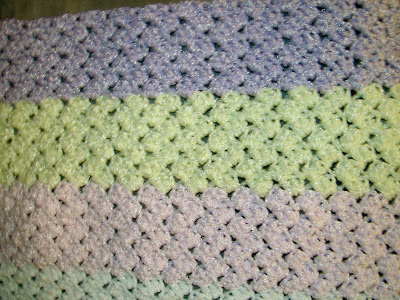 I was flattered to be asked, so of course, I obliged, and my co-worker provided me with some balls of Bernat Softee Baby Solids yarn in lavender, pink and yellow to get started and told me that I could use any pattern or technique I wanted. 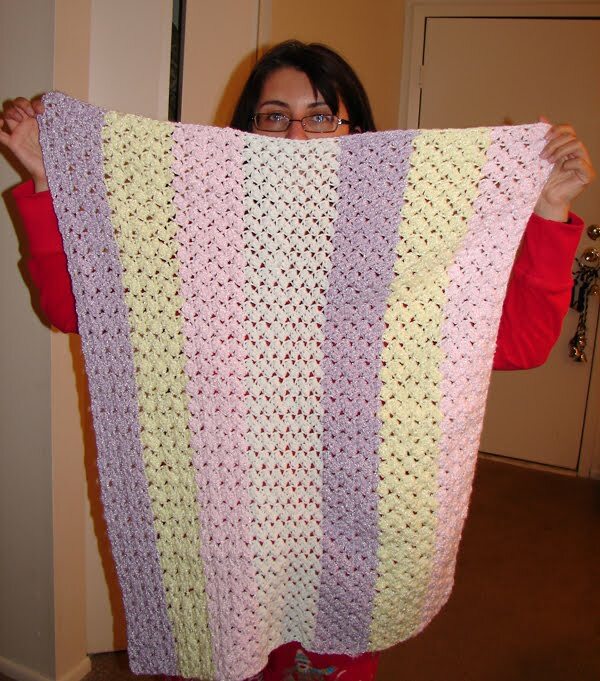 I was able to deliver the finished blanket when I returned to work from break and my co-worker was pleasantly surprised. Since I finished so soon, the blanket will be able to be delivered to future mommy at her upcoming baby shower.